Spotlessly clean,great facilities,everything you need.location perfect .Check in easy and quick ,very polite and welcoming staff. Apartments were clean & modern. Bed was really comfy! Bed was great. Underfloor heating nice touch. Very clean and comfortable. Excellent apartment in an ideal location. 5 mins walk from the centre . Quiet area with nice pubs and restaurants. The property was was a very good size being a two bedroom with lounge and kitchen/ dining area. The kitchen had all the necessary kitchen utensils and crockery for in house dining. The bathrooms were excellent great size and design. The whole apartment was modern and exceptionally clean. Staff were extremely helpful and welcoming. The apartments were very spacious,beds were very comfortable.ensuite in one room was not expected. Apartment was spacious, especially the open plan living area was super modern & a great entertaining space. Coffee machine & other facilities were fab & appreciated. Elemis bathroom products were an extra touch too. Lock in a great price for PREMIER SUITES PLUS Glasgow Bath Street - rated 9.3 by recent guests. One of our bestsellers in Glasgow! 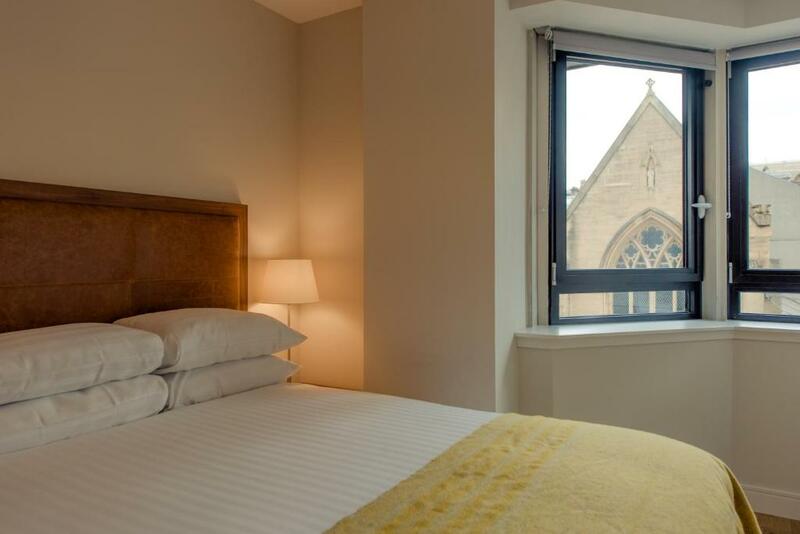 Featuring city views and free WiFi, PREMIER SUITES PLUS Glasgow Bath Street provides accommodation set in Glasgow. 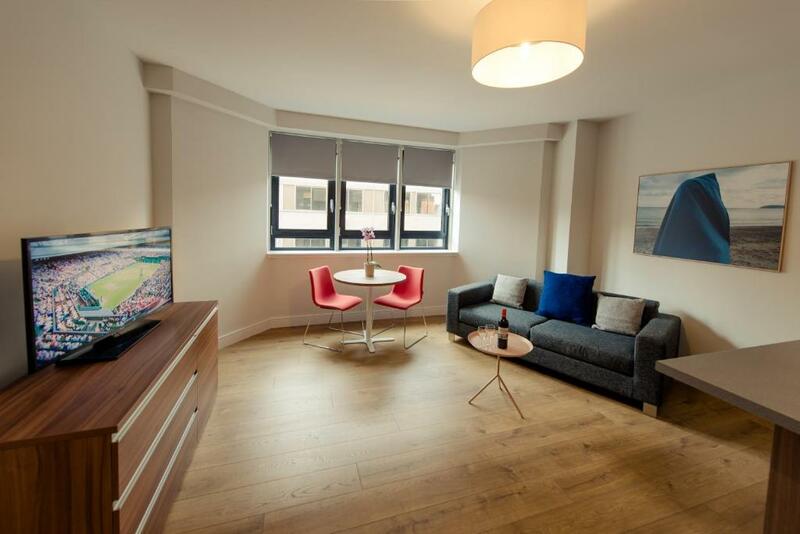 All apartments feature an open-plan design with a living and dining area with a flat-screen TV. The kitchen facilities contain a dishwasher and coffee machine. The bathrooms feature complimentary toiletries and a hairdryer. 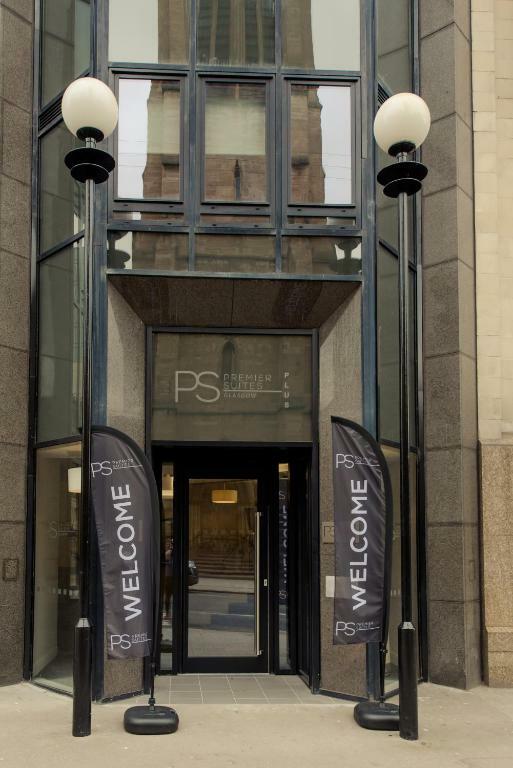 PREMIER SUITES PLUS Glasgow Bath Street offers luggage storage at the property. George Square is 0.9 miles from the aparthotel. Sauchiehall Street is a 5-minute walk from the property. Both Royal Concert Hall and Buchanan Galleries are 0.6 miles from the property. Glasgow Airport is 8.1 miles from the property, and the nearest rail station is Charing Cross, a three-minute walk away. 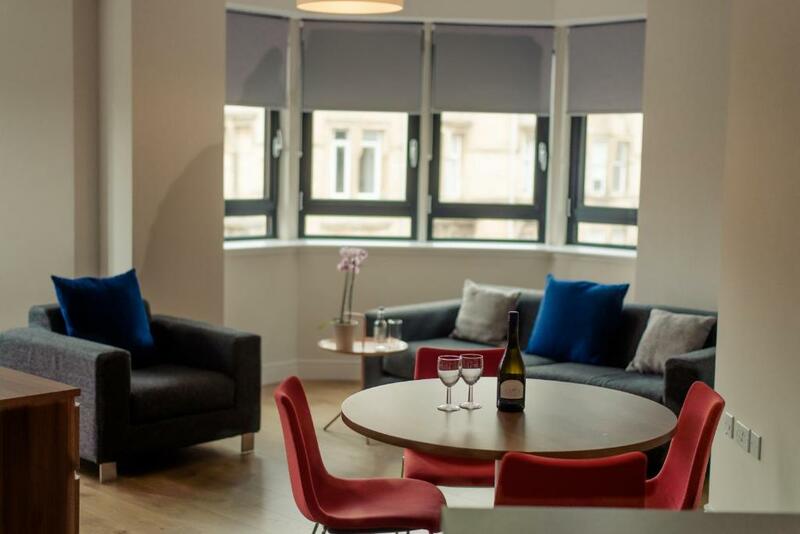 PREMIER SUITES PLUS Glasgow Bath Street has been welcoming Booking.com guests since 27 Feb 2018. 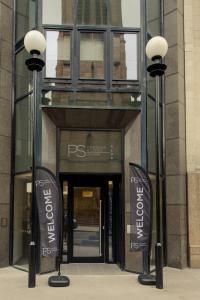 When would you like to stay at PREMIER SUITES PLUS Glasgow Bath Street? This apartment has a sofa, microwave and kitchenware. Private parking is possible on site (reservation is needed) and costs GBP 15 per day. 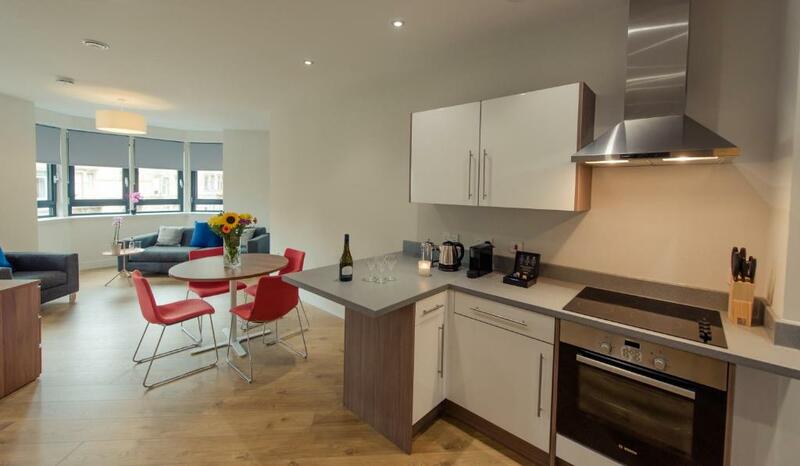 This apartment features a oven, tumble dryer and kitchenware. House rules PREMIER SUITES PLUS Glasgow Bath Street takes special requests - add in the next step! PREMIER SUITES PLUS Glasgow Bath Street accepts these cards and reserves the right to temporarily hold an amount prior to arrival. This property does not accept cash payments. A security deposit of GBP 250 is required upon arrival for incidentals. This will be taken as a pre-authorisation on a debit or credit card - cash cannot be accepted. This deposit is fully refundable upon check-out and subject to a damage inspection of the accommodation and no noise complaints received from our onsite security team. A valid form of photo ID in the form of a driving license or passport will also be required at check-in. Under no circumstances is an apartment to be sublet by the occupier. Office opening hours are as follows: Monday to Sunday 08:00 to 21:00. Bank holiday hours may differ. Premier Apartments will send a confirmation with detailed payment information. After full payment is taken, the property's details, including the address and where to pick up the keys, will be sent to you by email. We didn’t know we had to prebook the car park but will know next time. Street noise by people outside room 106 (1st floor) woke me up 2 times. 1 am and 3am. Could do with better sound proof Windows in the bedroom to reduce this. I am a heavy sleeper and still got woken up by idiots on the street. Not enough parking. Parking on street very expensive. Parking was full. You can park on the street for free until 0800 and Charing Cross NCP is close by. Great find for families. Same price as the Hilton but kids can have their own room within the apartment. Bedrooms were small but not too much of an issue because of little time spent in there. Also there’s no mirrors or plug points in the bedroom so you can do hair-makeup? But otherwise a great apartment. Perfect family stay. A spacious, clean and well-equipped apartment. Great location with supermarkets and restaurants nearby.